Since we've moved I've missed the abundance of birds that would frequent our old garden. 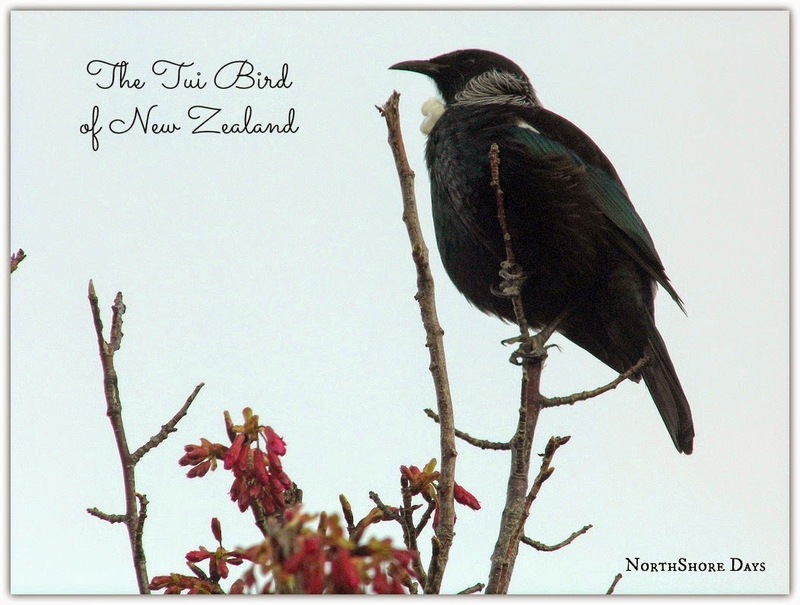 We had an enormous tree out back and we would hear the beautiful songs of all the birds including the Tui bird. Our new place is a lot closer to the road and maybe it's the busyness of the week but I hadn't really spotted too many birds until the Taiwanese Flowering Cherry Tree started to bloom. This particular tree attracts Tui Birds and I've never had such a great view of them before. This week we've had up to 5 in the tree at once. 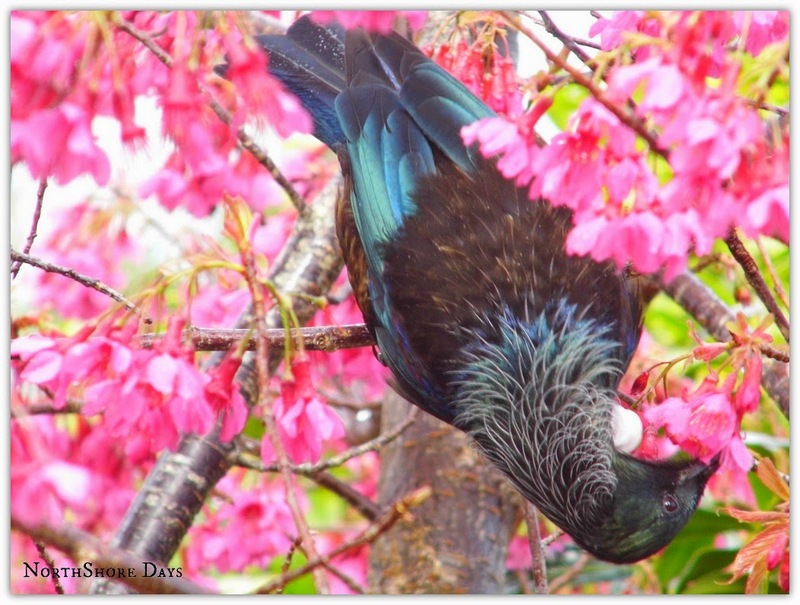 Native to New Zealand, tui are a very beautiful bird. At first glance they appear black, but they are actually a shining metallic green with blue & purple reflections. The reflected colour of the feathers changes with the angle of the light. 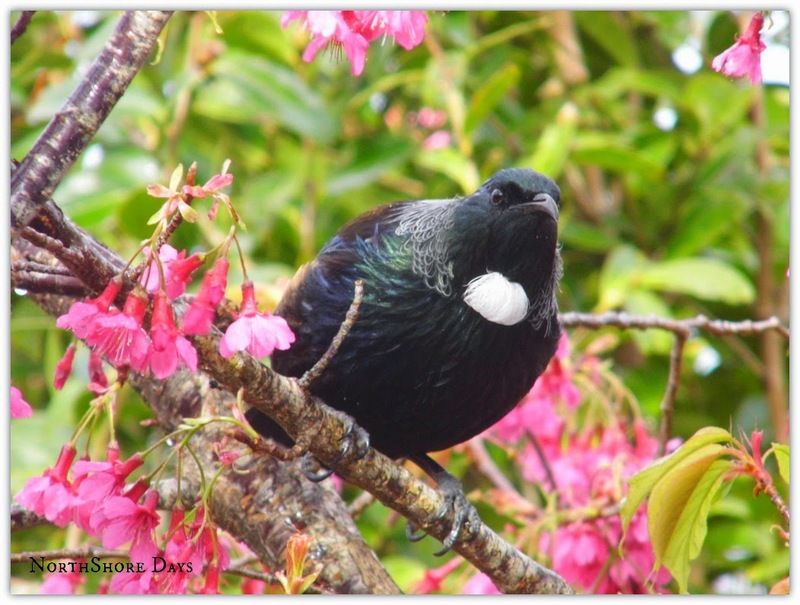 The best known visual feature of the tui is the very distinctive white tuft on the throat. 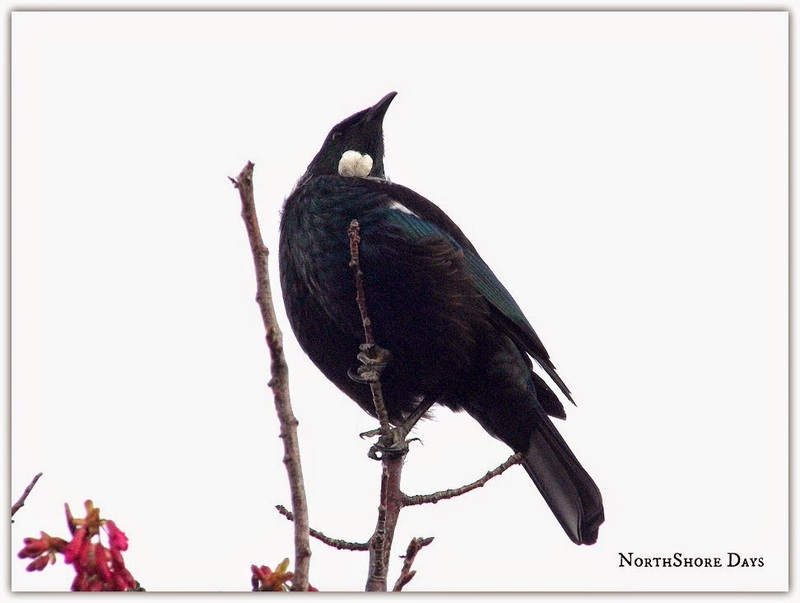 Tui are also well known for their unusual calls. They have the beautiful notes of the bellbird, combined with cackles, clicks, groans, creaks and even wheezing sounds! I am sure most of you have seen many tui in the last month or so. Especially those who are close to an area of native bush. I have seen very large numbers of tui in Cambridge, Te Awamutu, and Pirongia, where there seem to be more and more tui every year. I always thought the Tui were black with white tufts at its throat but they are actually very colourful with a gorgeous turquoise sheen to their tail feathers. Besides the neck feathers, these birds are very unique in their bird song. It's just beautiful. I feel so incredibly lucky to have caught these images this week. And so very happy to take in all the bird life around me again. Beautiful Nat! I love reading about your country!